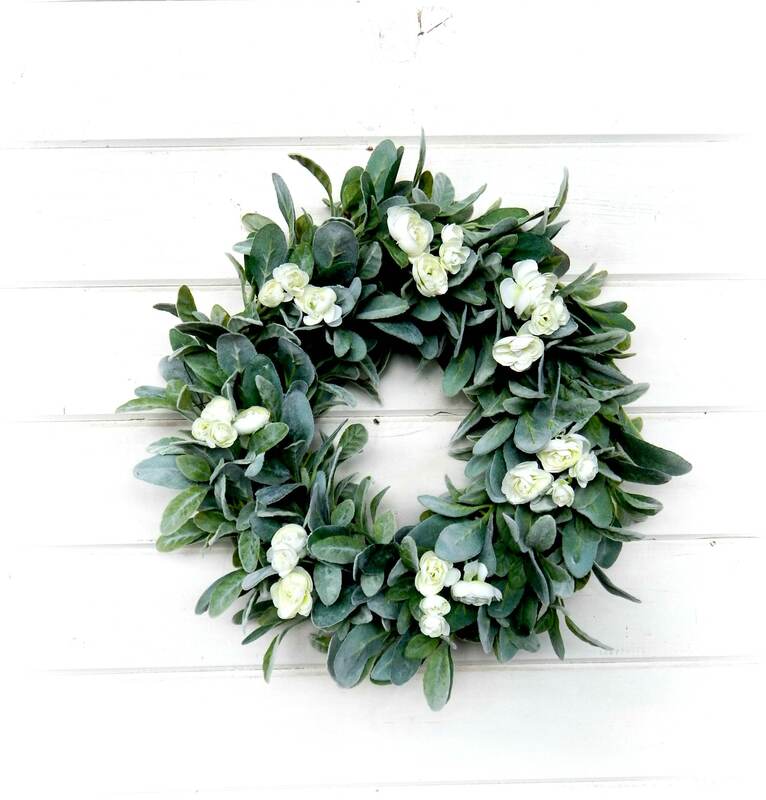 New for 2018... A Lambs Ear Wreath with White Ranunculus!! 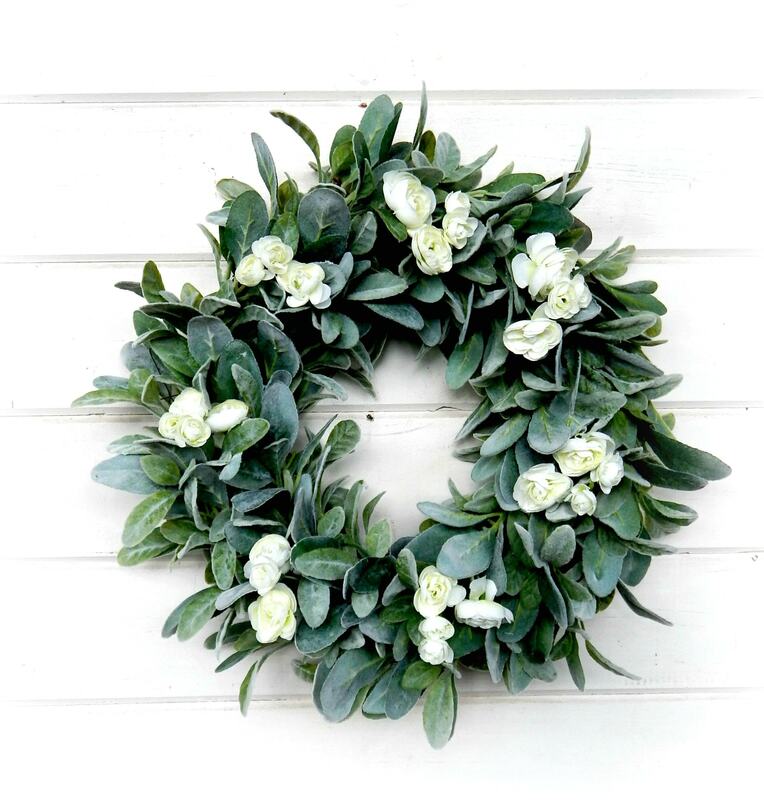 This Wreath is made of Artificial Garland and Floral..... Perfect for any home decor!! 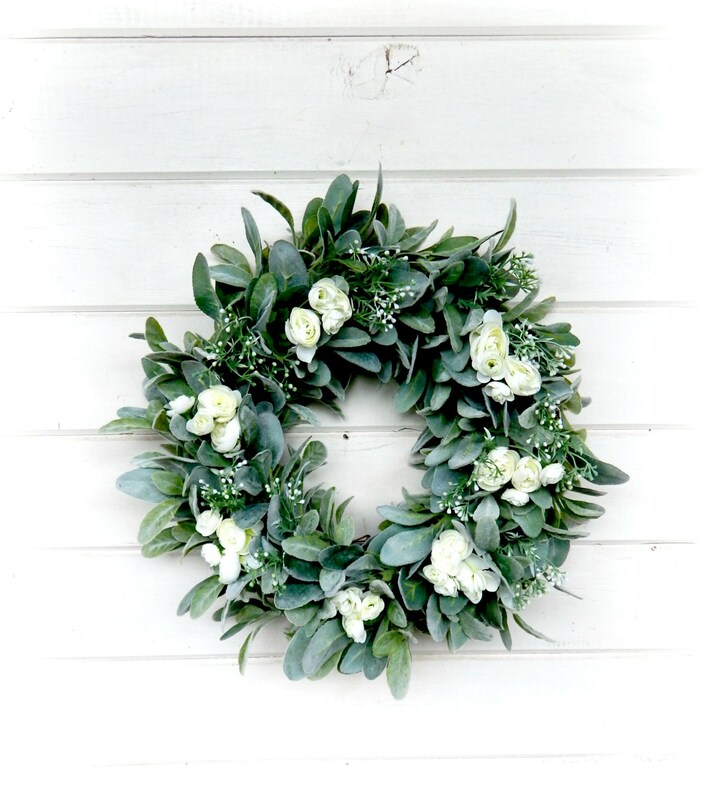 I LOVE the Lambs Ear and the Pink Ranunculus makes this wreath "POP"! !